In many ways, we enjoy the weeks leading up to Halloween more than the day itself. The decorations. The planning. The antici…. And most of all, we love all the wonderfully horrific and macabre projects everyone is working on! A host of new horror films are being debuted at festivals and released for home viewing. Check out these terrifying new projects available now or coming soon. The 3rd Brooklyn Horror Film Festival has unveiled the entirety of its massive event lineup. Among the live events, BHFF and Drunk Education are presenting an inebriated talk on religious horror with Bad Religion. New events include the Dread Central-presented drinking game-night Drinking with the Dread: Return of the Living Dead Edition and a special New York-centric live Spirits Podcast that dives deep into local legends, cryptids, and more. The BHFF runs October 11–18, 2018, with screenings and events across Brooklyn. See the lineup and learn more at brooklynhorrorfest.com. 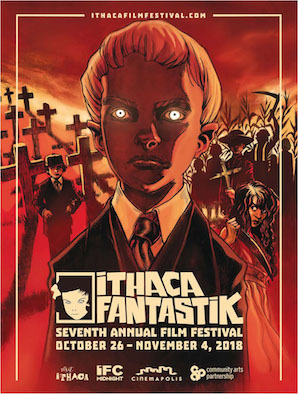 Ithaca Fantastik has announced the first wave of programing for the 7th edition of the Upstate New York celebration of genre film, electrifying music, and dynamic art. The event returns to their homebase at Cinemapolis for the 10-day event running October 26–November 4, 2018. See the lineup at learn more at ithacafilmfestival.com. A masterclass with filmmaker Don Coscarelli (Phantasm, Bubba Ho-Tep, John Dies at the End). Aquatic horror with filmmaker and Miskatonic LA co-director Rebekah McKendry, PhD. 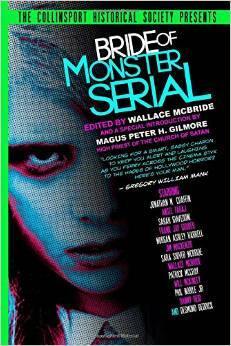 Medical crises in horror with author David J. Skal. Breakdown and analysis of the Murder Set Piece in horror with filmmaker Rodman Flender. 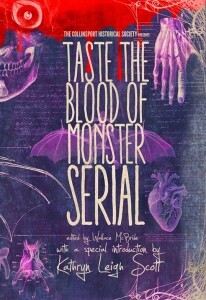 Learn more about the Miskatonic Institute of Horror Studies at miskatonicinstitute.com. American writer Richard Humphries has released Therian Red, a science-fiction/creature-run-amok story told entirely from the perspective of the creature. Red has lived his whole life in a small, concrete cell and suffered numerous experiments at the hands of his human captors. He manages to escape and learns about the outside world before turning his attention to revenge. Therian Red is currently available worldwide on Amazon in paperback and Kindle, and Barnes & Noble Nook. The follow-up novel SunChasers is currently in the works. 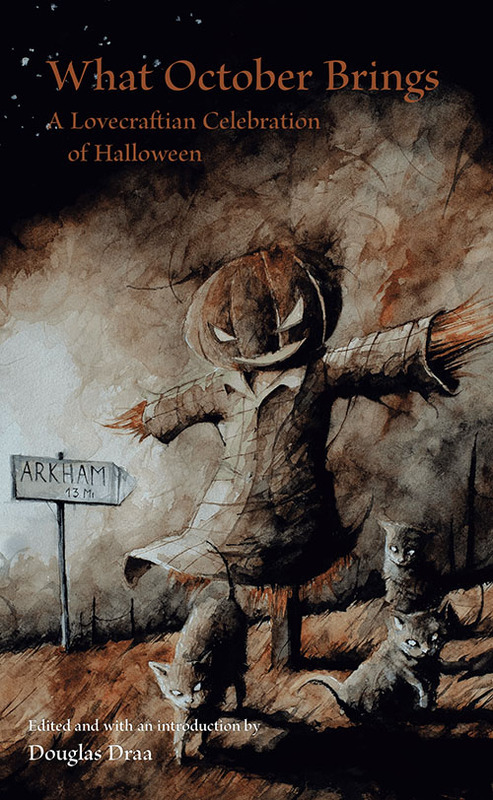 The commissioned cover of What October Brings was created by acclaimed Italian painter Daniele Serra. The collection is available in September 2018 in print and ebook editions. In the new horror-comedy Cynthia, a desperate mother gives birth to the most hideous child ever imagined. Cynthia spawns from the mind of Girls and Corpses magazine creator Robert Rhine and was directed by Devon Downs and Kenny Gage. The film stars Scout Taylor-Compton (Halloween, 2007), Sid Haig (House of a 1000 Corpses), Bill Moseley (Repo! The Genetic Opera), and Robert LaSardo. 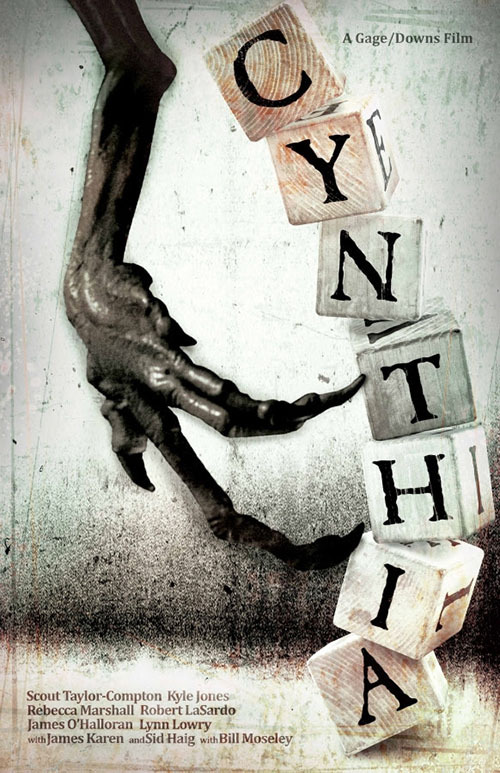 Don’t miss the birthing terror that is Cynthia, now available on digital platforms and DVD. The forthcoming fantasy-thriller short film Goodnight, Halloween has taken more than 12 years to complete. As a prelude for the film, the filmmaker has released a “scene setter” for the world of Goodnight, Halloween. Alternate Detroit 1986 is a world where Halloween creatures have co-existed with mankind forever—until the Senate passes a law that all creatures can be exterminated on sight. Forced into hiding, these creatures have formed uneasy alliances in an effort to evade the efforts of the KRONA death squads. Since Hell House LLC was released by Terror Films in Fall 2016, critics and fans have wanted more of this “must see” horror film. Now, Terror Films has teamed up with Shudder, the leading premium streaming service for thriller, suspense, and horror, for the exclusive release of the sequel: Hell House LLC II: The Abaddon Hotel. When James ventures into the dark, snowy forest in search of firewood, he finds a woman hidden in the frozen terrain. James brings her back to the cabin for help, but the family has no way of knowing that the woman’s presence will be the catalyst for a series of horrifying events and bloody carnage that will change their lives forever. Dead Night features Barbara Crampton (Re-Animator), Brea Grant (A Ghost Story), and AJ Bowen (You’re Next), and is brought to you by the team behind John Dies in the End. Take the techno-paranoia of Black Mirror, add the intergalactic body horror of John Carpenter’s The Thing, adapt them into a VHS board game, and wrap it all up in a bitingly satirical Christmas-movie package, and what do you get? Await Further Instructions from British director Johnny Kevorkian and co-starring David Bradley of Game Of Thrones, Doctor Who, and Harry Potter fame. High school becomes literal hell for a group of young women who tap into witchcraft in order to fulfill their every wish in The Witch Files. Their newfound power, however, comes at a deadly cost, and before long they find themselves under attack from one of their own—who isn’t about to give up the good life without a fight. The film stars Paget Brewster (Criminal Minds, Community), Holly Taylor (The Americans), and Greg Finley (The Secret Life of the American Teenager). books, film festivals, H. P. Lovecraft, horror films.